We invite you and a guest(s) to our Grand Opening at our new state of the art facility. 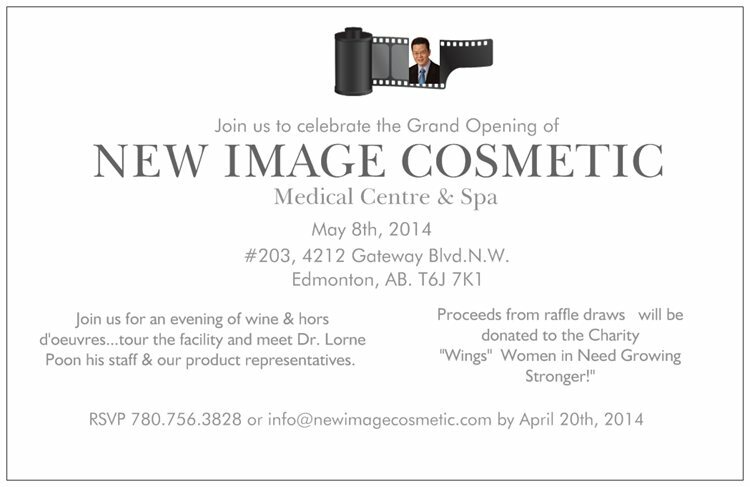 Come for a tour of the clinic, enjoy hors d'oeuvres from Century Grill, wine, great music. We will be having giveaways, prizes and raffles. All proceeds from the raffle go to the "Wings" charity, Women in Need Growing Stronger. The newest BMW's will be on site for you to view, compliments of Edmonton BMW.